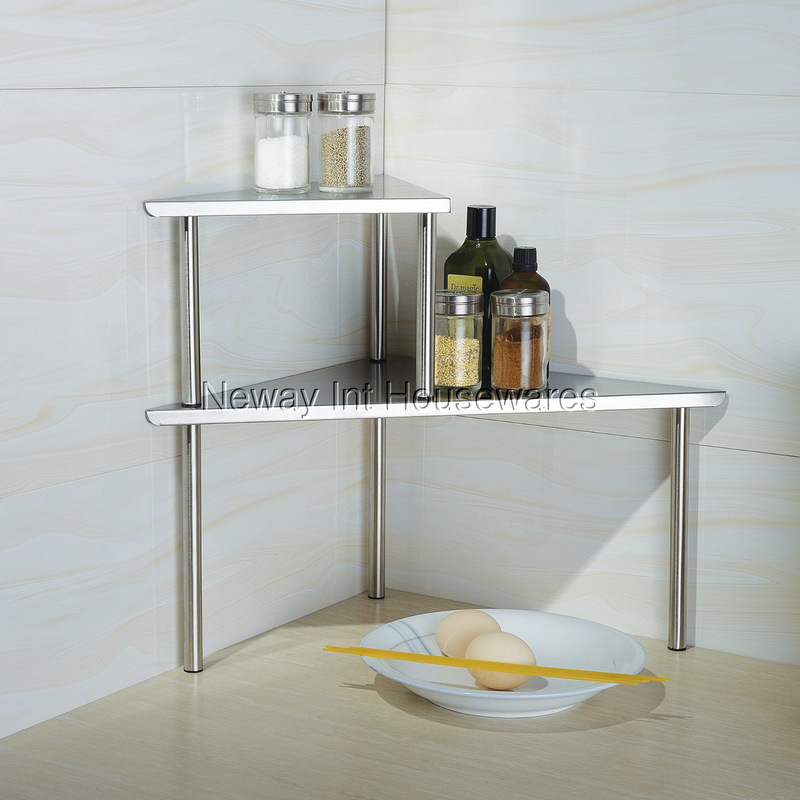 The Cook N Home Stainless Steel Corner Storage Shelf Triangle has a stainless steel construction. Assembly is easy, no tools required. Brushed stainless steel surface makes the shelf easy to clean. Stackable 2 tier design shelf saves storage space and the shelves can be used separately.